It’s no secret that I love music (you might even call me a groupie), and the more a concert rocks, the more I enjoy it. 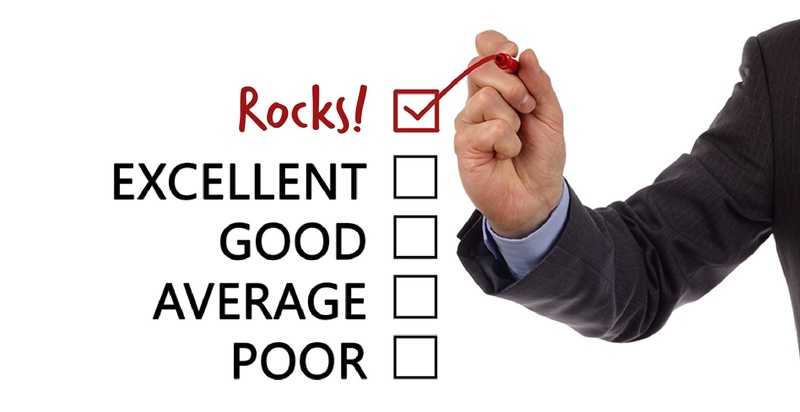 I like to apply that principle to my work as a customer support representative at MCL – the more I rock, the better the experience is for our customers. No matter what kind of company you’re working with, you always deserve to have an awesome experience as a customer. When you contact your contract assembly partner with a question, order or concern, the customer service department should respond to you in a timely manner. Even if they don’t know the answer to your question immediately, or need to do some research before telling you when an order can ship, the customer service representative should quickly connect with you and let you know that he or she is working to get you an answer, providing a time frame in which you can expect a response — typically within 48 hours. If you frequently have to leave a voicemail or need to follow up by sending an email a few days later, you might be working with a supplier whose customer service is a bit out of tune. When a delivery date is delayed or parts aren’t available for your order, does your contract assembly partner contact you to share that information as soon as they know? They should. That way you can plan for any delays or look for alternate parts that might be more readily available. Any time something changes that will affect your order, a true contract assembly partner should communicate the circumstances to you quickly and honestly so you can make informed decisions. If the customer service department doesn’t keep it real with you, your supplier is probably just putting on a show. Your contract assembly partner should understand the processes you have in place for ordering, engineering changes and who to contact if there are questions. They should also know what you expect from them as far as preferred communication methods and response times. On a business level, your contract assembly partner must understand the key economic drivers for your business and work to get ahead of the curve on any economic trends that might affect them. Your customer service representative should be curious about your business and your needs so that he or she can deliver exactly what you need, even if you didn’t think to order it that way. Eventually, your customer service representative should even be able to see problems in your orders before you do. For example, if you typically order 100 of a particular unit and suddenly order only 10, a rockin’ customer service representative would notice and call to make sure the order is correct. As you and the customer service representative at your supplier communicate, you’re building a valuable, mutually beneficial relationship. You should consistently be talking with the same representative so that you can be sure he or she really understands your needs during each conversation. And every time you reach for the phone or start an email, you should know who will respond. This consistency will build mutual respect in which you and your customer service representative feel safe asking questions, clarifying situations and outlining and even anticipating your needs. If your customer service representative doesn’t take the time to fully understand and respect you, you might be dealing with a diva. Customer service should be extremely important to your contract assembly partner because it’s the department customers will deal with most often. At MCL, we focus on customer intimacy. It might sound weird at first, but we’re not afraid to get close to our customers in order to really understand their needs so we can serve them better. If contract assembly is a new concept for you, download our Beginner’s Guide to Contract Assembly to learn how we could help you maximize production efficiency. Click the button below!